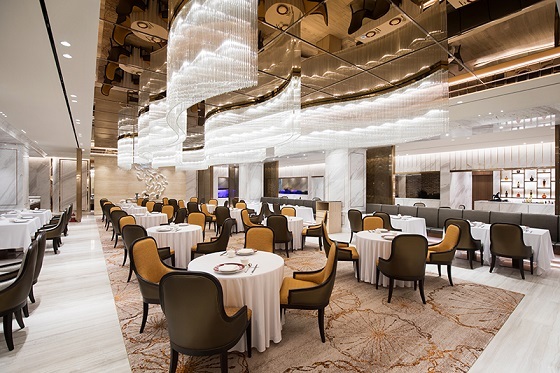 Two new restaurants called The Jeju Seon and Le Chinois have opened at Jeju Shinhwa World Marriott Resort. 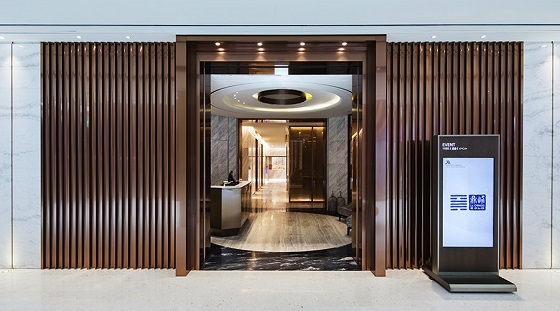 At these restaurants you can expect to taste delicious Korean and Chinese cuisine. Jeju Seon is the Korean restaurant while Le Chinois is the Chinese restaurant. 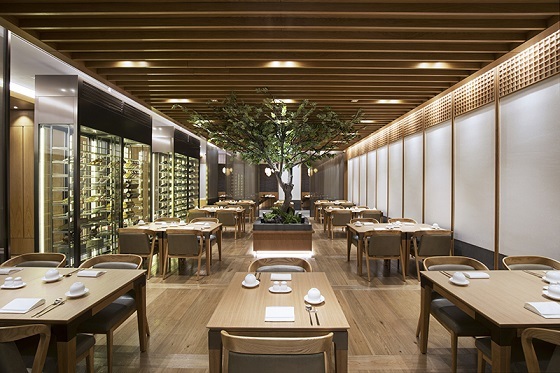 They both use Jeju regional ingredients, such as Jeju black pork, Bodelgeul beef, Moseulpo yellowtail, rosy seabass, and abalone to present guests with a great dining experience. Also, at Jeju Seon you can taste traditional Jeju alcohol such as Gosori and others, while at Le Chinois you can try drinks from China such as Maotai and Wuliangye. One of the main dishes in Jeju Seon is the ‘Jeju Bodelgeul Beef Rib Stew’. 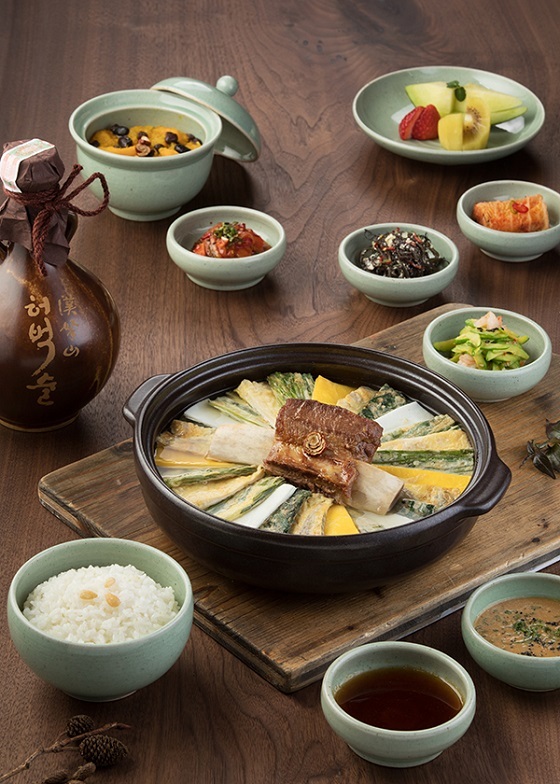 The light broth is made using the fresh Bodelgeul beef ribs and this ‘Royal Hot Pot’ is served with jeon and vegetables. Another dish you can try is the ‘Grilled Jeju Rosy Seabass Set Meal’. The tenderness of the fish and the special sauce made from Yuzu soy sauce brings a freshness to the taste. The meal is served with soybean soup made from Jeju beans. To keep the menu fresh, it will change depending on the season. The present menu is available until March 18. From March 19, a new spring menu will be served. The main chef of Jeju Seon is Kim Byong-eun. He has a special love of kimchi and he makes his own. If you want to try it, the appetizer Pear Bossam Kimchi could be a good choice. In Le Chinois, you can taste the Chinese cuisine made by the famous chef Alan Chan Wai Lun (陳禕倫）. He is the executive chef of the Chinese restaurants in Jeju Shinhwa World. In his kitchen, you can taste traditional Chinese food and watch the “wok show” from the open kitchen. 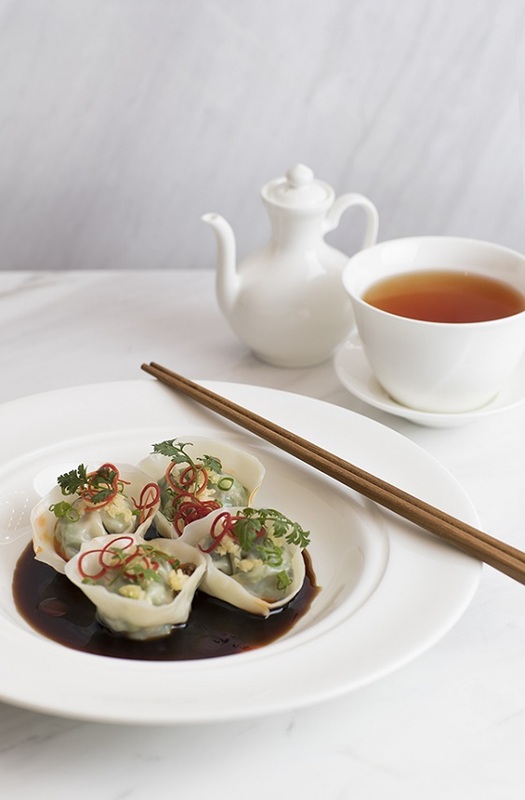 The main dish of Le Chinois is the ‘Spicy Shrimp and Pork Dim Sum’. The Jeju black pork, shrimp, chives and Chinese spiced vinegar, red pepper, and coriander leaves take the dim sum to another level. The ‘Honey Pork Barbecue’ is made from Spanish young pork with a special char siu sauce made by Chinese Rose Wine (Rose Kaoliang). Both restaurants are located at the Marriott Resort in Jeju Shinhwa World. The Jeju Seon opens from 6:00 p.m. to 10:00 p.m. and is closed every Monday. Le Chinois is open at lunchtime from 11:30 a.m. to 2:30 p.m., and then at dinner time from 6:00 p.m. to 10:00 p.m.
For reservations, please contact 064-908-1640 for Jeju Seon or 064-908-1240 for Le Chinois.